Bright, trendy dots and stripes make this a cheerful card to give any kind of volunteer. 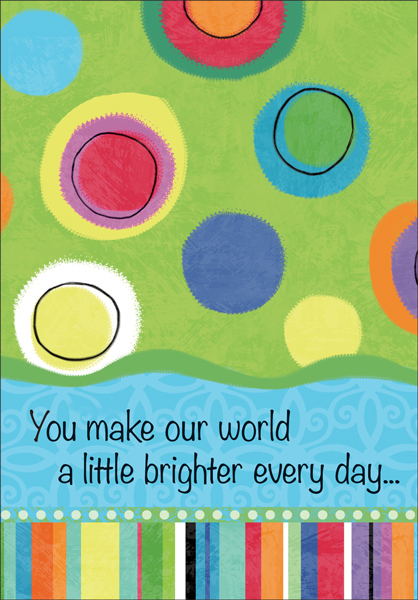 Let them know their volunteer efforts make our world brighter every day! 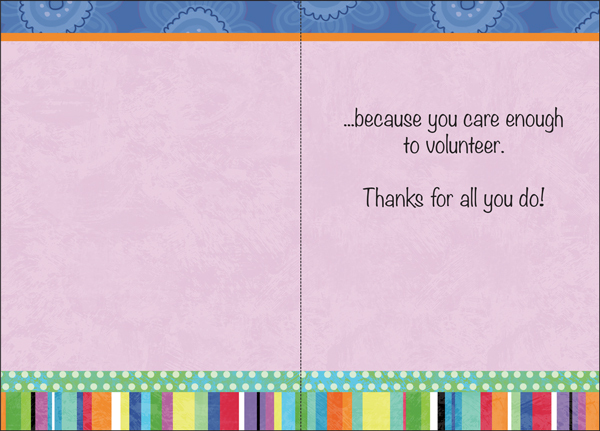 Keep plenty of these colorful volunteer appreciation cards on hand. because you care enough to volunteer. Thanks for all you do!